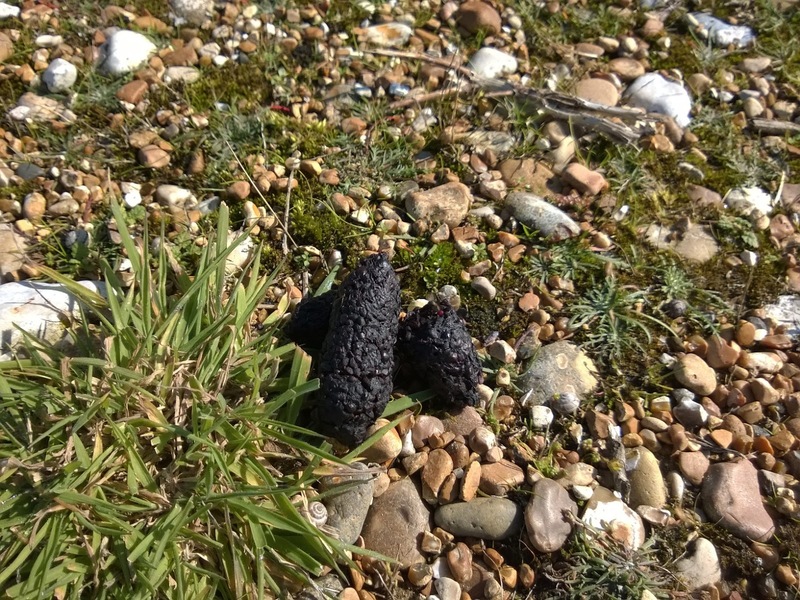 To start a post off with a picture of some poo may not seem like a normal thing to do, but when you couple that poo (a badgers) with two small boys newly armed with backpacks full identification charts and binoculars, poo suddenly becomes one of the highlights of a brilliant first ever trip to visit RSPB Dungeness. Ollie had a fantastic Christmas present from my in laws last year - a year's membership of the RSPB's kids club, complete with identification book and bimonthly activity magazines. With one thing and another, it's taken us far too long to go and make use of Ollie's free entry pass to visit a reserve. 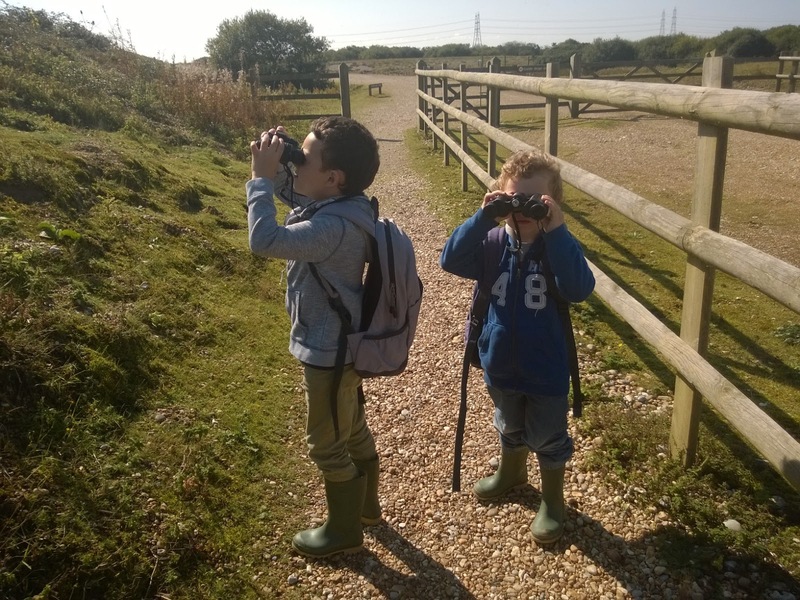 I wasn't sure how well the boys would take to bird watching - I was worried that the requirement to sit still and quiet so as not to offend people who know what they're doing was going to be too much for a three year old and a five year old. 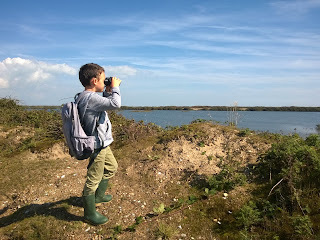 I anticipated a bit of a trudge with moaning kids followed by two minute sit downs with lots of shushing while we peered at distant unidentifiable blobs (we only have kids binoculars, which actually make it harder to see than using nothing). 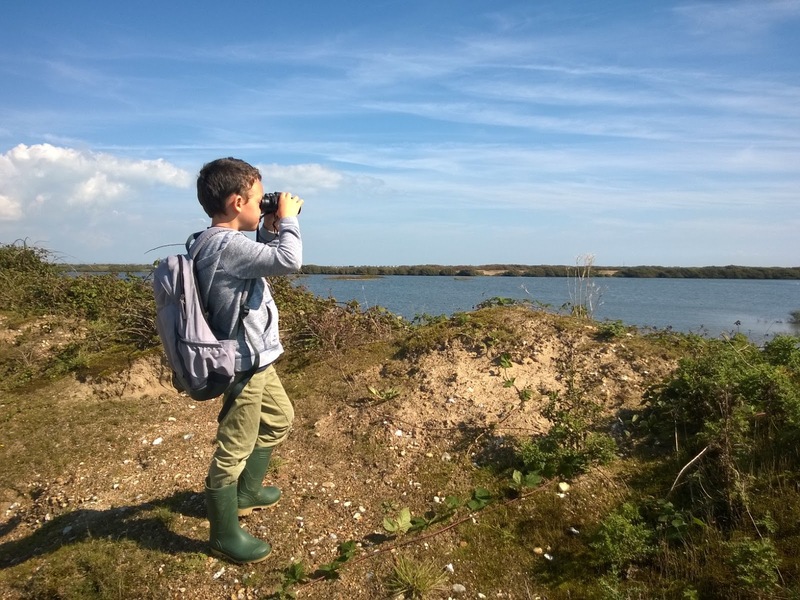 As it turned out, the RSPB was well set up for kids, with backpacks available to borrow filled with everything we could need. 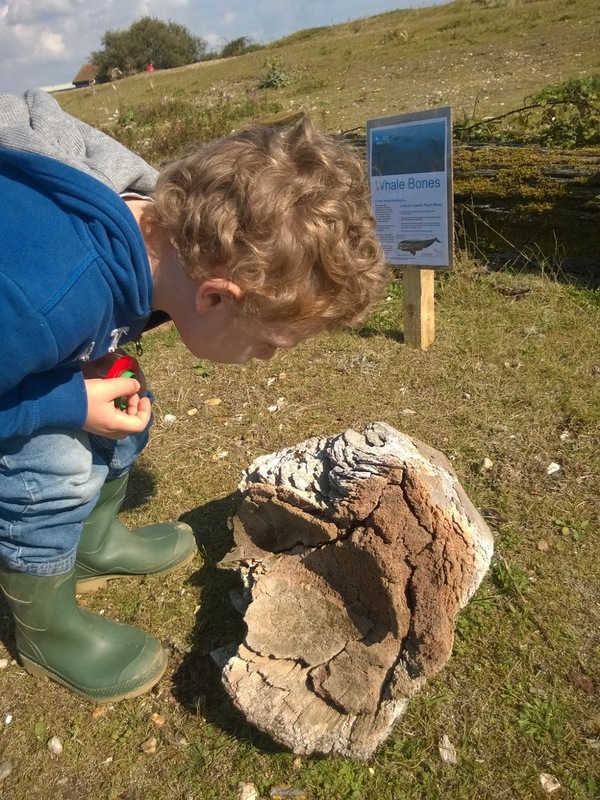 Binoculars and ID guides were accompanied by colouring and tick sheets, bug pots and magnifiers. The binoculars were really good quality ones, not the plastic kid toys you might expect in a junior pack. I have weird eyes which prevent me from seeing properly through bins, but Ollie's joyous reaction to seeing clouds and birds in the distance told me how good they were, as did Matt's assurance of how much clearer the duck-looking-things were. I want to be good at birds, but much as I like them I can't tell many of the duck-looking-things, ducks-on-stilts, seagull-looking-things and sparrow-looking-things apart. When a kind young birder in a hide hushedly told us 'there's a rough over there on that island' he must have thought me a complete idiot with my vague 'oo, is there, thanks'. I looked it up when he'd gone, apparently it is not a 'rough' as my brain interpreted the word, but a 'ruff' - in my vocabulary one of the 'ducks-on-stilts' group. As well as an assortment of ducks, ducks on stilts and seagulls (which Ollie corrected us on 'not seagulls, just gulls, proper scientists don't call them seagulls') there were also an amazing array of beautiful dragonflies and damselflies whirring around, with swallows whizzing past attempting to match their insect rivals for title of best flyer. 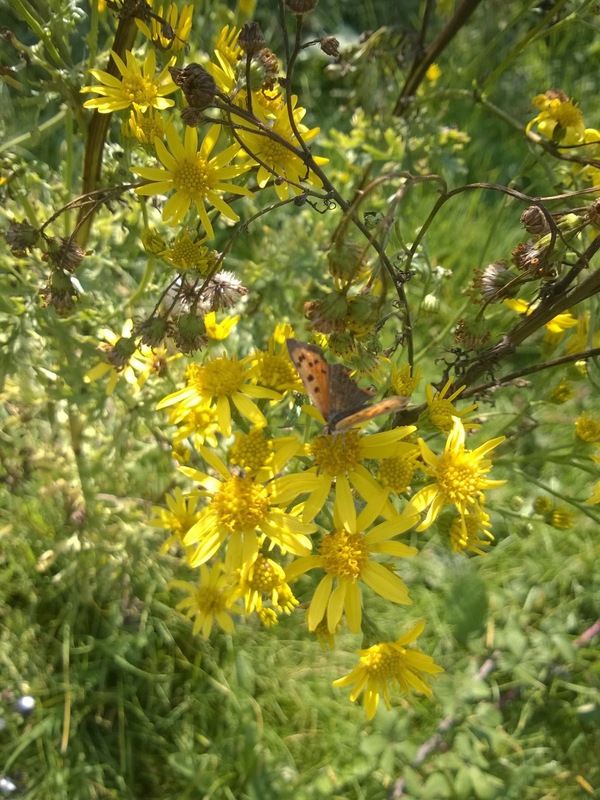 We saw butterflies enjoying the rich habitat and Matt even saw a lizard scuttle across the path in front of him while I was immersed in watching a cool parasitic ichneumon wasp hunting for hosts. Toby got a little restless in the hides, but the backpack kept him occupied and I'd bring him out a bit before Matt and Ollie to give them a chance to have a good look. Ollie sat with rapt attention, really enjoying searching out the birds with the binoculars. While they were in the hide, I scruffled around the plants looking for bugs and showing Toby the interesting flowers, like this lovely mullein complete with wonderfully downy leaves. 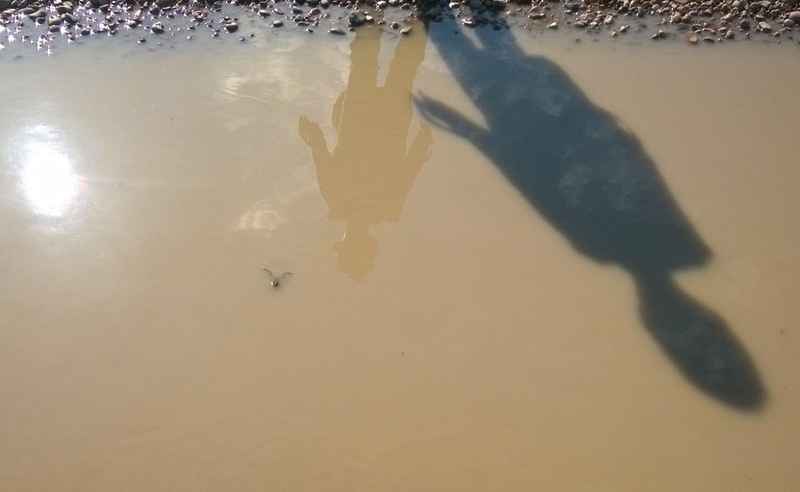 There were several hides, all looking out onto different aspects of the site, all with panoramas of an interesting mixture of wild-looking wetlands and very obviously industrial additions such as the Dungeness Power Station and the multitude of electricity pylons. I liked the light here, something about it makes the colours stand out. 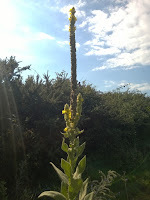 The waters were a deep blue beneath the pale sky, with golds and greens in the reeds dividing up the image. The camera on my phone doesn't do justice to it. Wildlife jumped out at us from every direction - there was even a frog in one the puddles the heavy rain last week left on the track as we walked back to the centre. 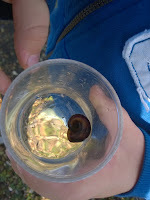 This provided great interest to the kids as they then had to check every puddle for frogs. Some of the watery inhabitants were familiar but lovely to find even so, like this ramshorn snail, probably the biggest I've seen outside of an aquarium tank. 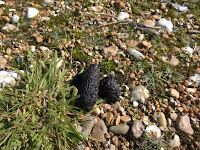 Other finds were more unexpected, such as weathered and gnarly whale bones which I might have walked past thinking they were driftwood if it hadn't have been for the helpful signpost. So I think today was a real success, and a large part of that was down to the kindness of the RSPB staff in providing the activity backpacks for the kids to borrow. 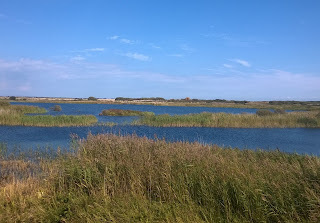 I would definitely recommend it as a great place to visit, whether you are a seasoned birder or just starting out. Notes: The site is accessible for pushchairs and wheelchairs. There are toilets available in the car park, including disabled and baby change facilities. 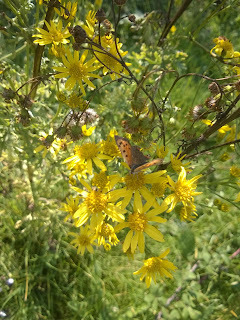 There are also few picnic benches in the car park (we fed the kids an early lunch before entering to avoid trailing round with the chorus of 'I'm hungry'). There is a gift shop but I didn't notice a café so bring a thermos if you're planning on making a day of it. 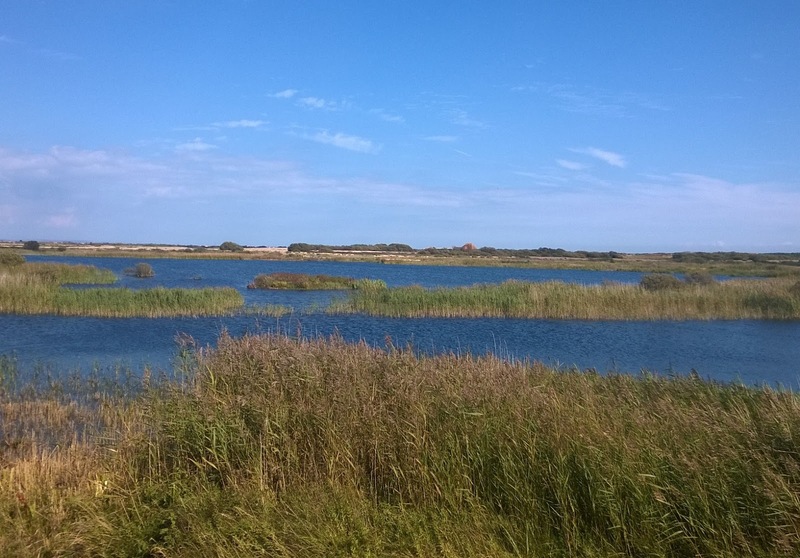 No dogs (except guide dogs) allowed on site, but if you have a dog there is the nearby Rye Nature Reserve as a dog walking alternative where you can still see lots of wetland birds.